People’s Viennaline is making history by launching the world’s shortest international flight. The flight, from St. Gallen, Switzerland (ACH) to Friedrichshafen, Germany (FDH), covers a distance of 13 miles and lasts just eight minutes in the air (though it’s blocked for 20). 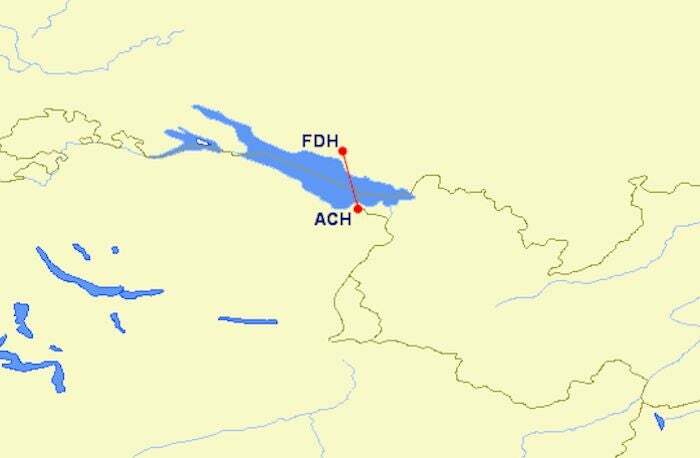 The route from ACH to FDH over Lake Constance. The flight is operated on an Embraer 135 with 50 economy seats and costs ~$45 per ticket on all the days we searched (actually just $12 for the ticket itself plus taxes and fees). 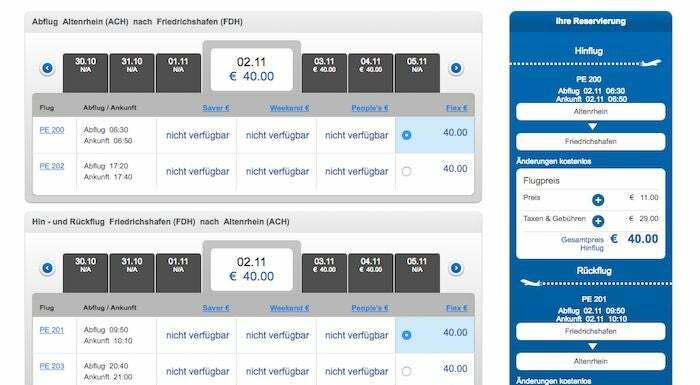 Though the airports are an easy drive from one another — about an hour apart — the flight routes over Lake Constance, cutting down on transportation time. When you factor in the time you’ll spend at security, boarding, etc., flying is likely not much of a shortcut, but this could be a decent option for onward connections. If you want to book, the first available tickets for sale are November 2. One caveat: The website is in German, so make sure to turn on translation capabilities in your browser. If you’re looking to experience the world’s longest flight in addition to the world’s shortest flight, hop on Emirates’ Auckland (AKL) to Dubai (DXB) route, which has a block time of more than 17 hours. Featured image courtesy of People’s Viennaline.